Not long after I began working for a large international conservation organization (one of the world’s largest), I received a phone call from an irate member. He had received a fundraising appeal in the mail telling him that tigers would go extinct soon unless he acted fast to donate money. I remember this call vividly, as it pulled the wool from my eyes about how conservation fundraising works by large NGO’s. These organizations may be officially “non-profit”, but they are extremely efficient at extracting money from their supporters. His problem with this mailer, as he put it, was that he had received the exact same mailer thirty years earlier. He questioned me, “How can tigers have been going extinct for thirty years? If that’s the case, why aren’t they extinct already?” Forced to think fast to placate this irate donor, my only reply was to assure him that had we not been working diligently for thirty years (and longer), tigers would indeed have gone extinct, but our efforts (and his generous contribution) have helped prevent that from happening, though the threat had not gone away. I wasn’t sure I believed my answer, but it served to calm him down at least. This incident was my first exposure to fear-based fundraising. The overwhelming majority of communications material produced by the international conservation community is pessimistic. Conservation fundraisers have been habituated to rely on fear to prompt philanthropy. To paraphrase the common message, “If you don’t give us money, elephants (or rhinos, or polar bears, or the iconic species of the day) will go extinct soon!” Conservation isn’t the only sector to use this approach. The American gun lobby has very successfully used the fear of gun control to raise billions of dollars. And the hunting sector uses the same approach, convincing supporters that the “antis” are itching to take away their hunting heritage unless they donate. Certainly, many species populations are under threat. We can’t be naïve about that. Similarly, gun laws and hunting rights are under attack. But rather than inspire followers through positive messaging, organizations have fallen back on fear-based fundraising in almost every instance. Partly because it’s effective, but also partly because it’s often easier to scare people than it is to inspire them. Personally, I’m tired of the pessimism. Twenty-five years into my conservation career, it has become exhausting to face gloom and doom day in and day out. Fortunately, I’m not alone. A few years ago, a group of like-minded individuals founded a movement called Conservation Optimism dedicated to inspiring and empowering people by being optimistic yet realistic in its messaging. This movement isn’t exclusive. By simply using the hashtag #conservationoptimism in social media, we can all contribute. If we all work to identify positive news and share it widely and tag it when we do, we can counter this overwhelming cloud of dire threats. It’s not hard to find good news in conservation. It’s there if we look for it. We have made great success in conservation. The biggest risk in relentless fear-mongering is that people will simply give up in frustration. Complacency and apathy are the biggest threats to biodiversity, much more threatening to biodiversity than poaching. Once people become convinced that the situation is hopeless, no matter what we do, we have lost the battle. 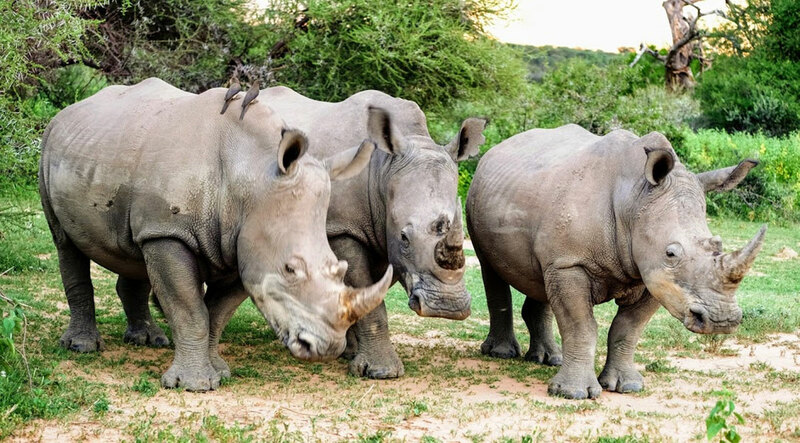 The southern white rhinoceros is one of the greatest conservation success stories of our time, yet the story of its recovery is almost never told at the expense of stories about recent poaching increases. From a tiny remnant population of fewer than 100 in 1900, the subspecies has recovered to well over 20,000 today. Yes, the poaching problem of the past decade has been terrible, and if left unchecked it would certainly drive the population into decline. But despite that the population remains stable and is not at imminent risk of extinction. Yet a casual observer would never know that based on the prevailing dire messaging coming from all sides. In the immediate aftermath of the rhino poaching surge in South Africa, hundreds of fly-by-night “rhino conservation” NGO’s were registered in the country to capitalize on fundraising around this crisis. Let’s be realistic in our messaging, and not give in to the temptation to sensationalize the problem in the misguided belief that it will result in more resources to address the problem. Tragically, while conservation NGO’s have been busy raising millions based on the false assertion that poaching is driving species like African elephant (IUCN Vulnerable, population increasing) and southern white rhinos (IUCN Near Threatened, population increasing) toward imminent extinction, many other species are quietly going into decline as a result of the more urgent threats of habitat loss, human encroachment, infrastructure development and climate change. And yet there is room for optimism here as well. While we have recently heard many gloomy predictions for giraffes, two subspecies, the West African and Rothschild’s, were downlisted last year from “Endangered” to “Vulnerable” and “Near Threatened,” respectively, due to conservation success. It’s rare that a downlisting receives much press, but an uplisting is covered exhaustively in the media, and is fodder for fundraising blasts by NGO’s. I have yet to see a tweet or a fundraising mailer from an NGO stating, “We have achieved great success in conserving X species, and as a result the population is flourishing. Join us in spreading this success with the help of your donation.” I’d personally much rather support the winning team than throw money toward a losing battle, and I think others would, too. Conservation optimism doesn’t mean naivety. We must be realistic, and without question the biodiversity of our planet is under threat. Conservation is necessary, now more than ever, and the urgency is real. But there’s no need to exaggerate or sensationalize the urgency. In the long term, relentless pessimism and embellishing the facts will hurt us more than it will help us. While it may be tempting in the short term to use dire messaging in fundraising appeals, we must realize that eventually the donors will become desensitized to scare tactics and shock, and will realize that the sky isn’t falling, at least not today. If we draw from the well of fear one too many times that well will surely run dry. This article was originally posted on Conservation Frontlines. Read the original article here. Matthew Lewis is a wildlife biologist who has worked on conservation issues in North America, Asia and Africa for the past 25 years. Originally from Missouri, he calls Nairobi, Kenya home, and works on wildlife conservation across Africa.